Nursing homes provide a variety of services, depending on individual needs. Most nursing homes provide at least two types of care under one roof: short-term rehabilitation and long-term care. Short-term rehabilitation (also called “Skilled Nursing Care,” “Rehab-to-Home,” or “Transitional Care”) is used for patients who have been released from the hospital following a serious illness, injury or surgery, but need more time to recover before safely returning home. Depending on their condition, short-term rehab patients typically need extended medical care, nursing care and therapies for a few weeks before going home. Long-term care residents have ongoing medical needs and require round-the clock assistance and monitoring throughout the rest of their lives. The nursing home, in essence, becomes their new residence, and they depend on competent nursing and medical staff to meet their ongoing support needs and help provide them with the best possible quality of life. Many patients who are released from the hospital need to continue care at a Short Stay Rehab Facility before going home. Even though most Rehab Facilities receive patients needing high-level care, not all of these facilities are adequately equipped to handle the “sicker” patients. The result is that patients are often returned to the emergency department or hospital instead of remaining on the path to recovery. These readmissions not only drive up healthcare costs, but they delay the recovery time for patients. 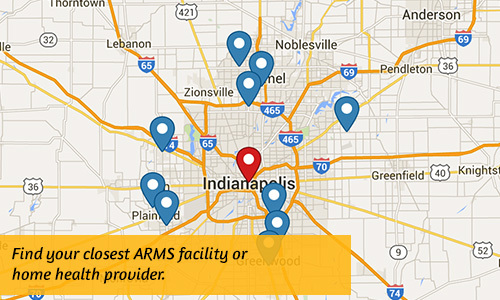 ARMS partners with select rehabilitation centers to provide reliable, high-quality care in a post-hospital setting. By providing better on-site presence and immediate access for nursing staff, ARMS has been able to consistently reduce hospital readmissions and length of stay among patients in its partnering Rehab Facility. Learn more about what to expect in an ARMS-affiliated Rehab Facility. Deciding to move to a long-term care facility can be difficult. Choosing the right nursing home presents yet another challenge. Selecting an ARMS-associated nursing home is a good way to narrow the search. Despite all the advances in technology, the most important component of the healthcare system is a skilled doctor or nurse practitioner at a patient’s bedside. Dignity and respect guide ARMS providers in their care of all patients, but especially for those who require long-term care services. 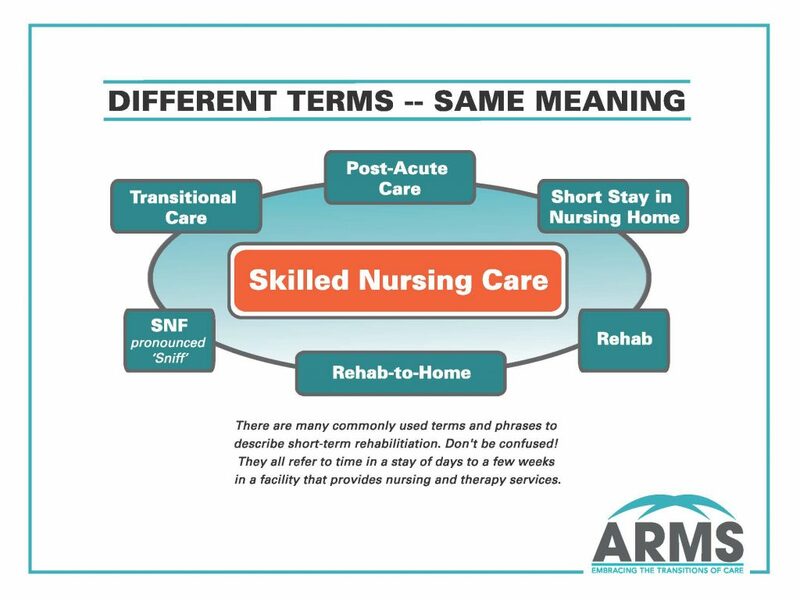 Just as in the skilled nursing (rehab) setting, ARMS emphasizes quality in long-term care. One of the key ways we do this is to ensure that ARMS doctors and nurse practitioners have adequate time to communicate with patients and nursing staff. Seek to understand each residents’ beliefs and desires so they can be honored in the late stages of life.